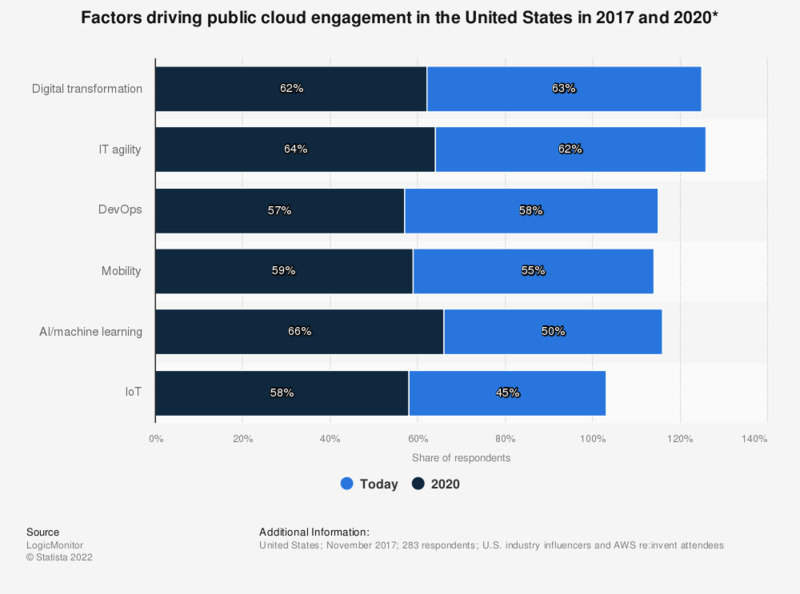 The statistic depicts the factors identified as driving public cloud engagement in the United States, both in 2017, at the time of the survey, and a prediction for 2020. According to the survey, 66 percent of respondents indicated that artificial intelligence (AI) and machine learning would likely drive public cloud engagement in 2020, compared with 50 percent who said it currently drives public cloud engagement. Original question: "How much is each of these trends or factors driving public cloud engagement?" Percentages show those respondents that answered "somewhat/extremely significant".